Compatible Brother TN443 rainbow value pack of printer toner cartridges. One (1) each of Compatible Black, Magenta, Yellow and Cyan. 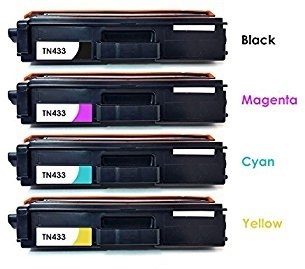 (tn-443bk, tn-443m, tn-443y, tn-443c) toner cartridges. Compatible Brother TN443 Printer Cartridge Page Yields : Black toner cartridge 4,500 pages. Cyan, Magenta & Yellow printer cartridges, 4000 pages per colour cartridge. 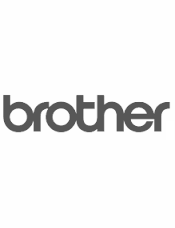 Designed, manufactured and print quality guaranteed to suit Brother colour laser printer HL and MFC, L8260, L8260CDN, L8360, L8360CDW, L8690, L8690CDW, L8900, L8900CDW. A lower price guaranteed quality printing option is available with our Brother TN443 Compatible value toner pack. With the same toner load / page yield of Brother new (Black 4,500 and colours 4,000 pages each, refer printer manual). Compatible Brother TN-443 colour printer toner cartridges can significantly reduce your office printing costs and carry a full manufacturer print quality warranty.